Below is a list of our favorite cat-related information and link sites. 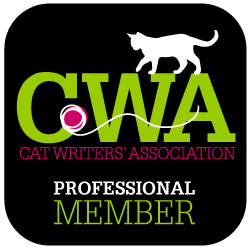 Be sure to check out our other link pages to learn about resources for cat caretakers, fun cat sites, and purveyors of fine gifts for cats and cat lovers. Let us know if you think there’s a site we should add! About.com Cats Forum: There’s lots of information about every conceivable cat-related subject here. Forums, articles by cat professionals, links, you name it. AnimalSites.com: A directory containing tons of animal sites for cats, as well as dogs, horses, or just about any other animal you can think of. Cat Articles and Links (KittensLair): A source of miscellaneous information on cats: cat names, cat breeds, mating and pregnancy, raising a kitten, cat food and nutrition, cat health and care. Cat Fanciers Association: This is the main breed-standard organization in the United States. They have detailed lists of specifications for each breed, information on how to select a breeder, and links to breed rescue societies. Catnews.com: This site lists news stories related to cats from all over the world. We’ve even had the honor of having our columns listed there. Cat World: This Australia-based website contains a huge number of articles and resources for cat lovers all over the world including information about various breeds of cats, quarantine laws for animal immigrants, links on an array of health and other issues. Highly recommended! Cats HQ: Everything Cats, from About Cats to Worms In Cats. The Cat’s Purr, and Other Sounds that Heal: An informative article on sound healing and how the cat’s purr has a strong healing factor. Furbabies Cat Care Site: This UK-based website site contains information on various aspects of cat care and health, grooming, feeding, vaccinations, cat shows, cat and kitten names, poisonous plants, glossary of cat terms, breeders directory and cat links. My Life as Nemo: A blog by Nemo, an FIV-positive cat. His person is treating his FIV with a combination of standard and holistic veterinary care and diet/nutrition management. This is a good resource for people with FIV+ cats who want to see what one human is doing to keep her kitty healthy. American Holistic Veterinary Medical Association: This organization has a database of holistic practitioners in the United States and Canada who are members and who abide by its code of ethics. If you know of similar organizations in other nations, please let us know and we’ll list them, too. Cat Faeries: This site offers Feliway, a cat pheromone analogue that helps to stop spraying, fighting and other territorial behavior in cats. Cat Faeries also offers aromatherapy products, healing crystals, and phone consultations on behavior-related issues. Cornell University Animal Science Department list of common cat toxicities: This is a good reference guide to pesticides and other common household chemicals and substances that are unsafe for cats. Eat the Apple: This site has lots of informative articles on treating cats (and dogs) with serious illnesses through a variety of holistic remedies. Very interesting! Green Hope Farms: Located in New Hampshire, this company makes flower essences for people and animals. In fact, they carry a whole line of flower essences just for animals. Unlike most flower essences, Green Hope’s are not preserved in alcohol or glycerin; they use red shiso root as a preservative. We like the taste of the Green Hope essences, and we know they work. Plants that are toxic to cats: This sub-page of Cat World, linked above in the “Cat Stuff for Humans” section, lists plants from all over the world that are poisonous to cats. As an extra added bonus, it also lists plants that are definitely not toxic to cats, as well as other non-plant substances that are toxic to cats. VetInfo4cats.com: This site has literally thousands of questions and answers about an array of cat health and behavior issues in the form of letters written to and answered by a veterinarian. It’s well organized, and searchable alphabetically. The site itself is free to use, but they also offer a subscription for a small fee, the revenues from which they use to maintain the site.